I've been so busy since school started, even though IT has not even started staying back yet. He will start his CCA trainings next week and his tournaments are coming, going to be busy. However, I do like that I can get lots more chores accomplished by waking up so early. If it's the school holidays, I will just laze around in bed till it's quite late and then spend the afternoon out, lol. 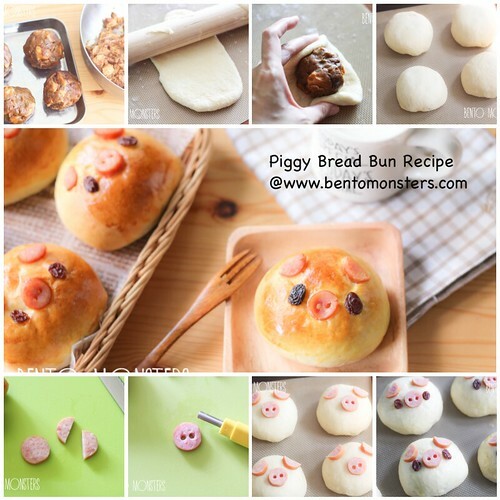 I'm going to share the recipe for these piggy bread buns I made during the holidays last year. 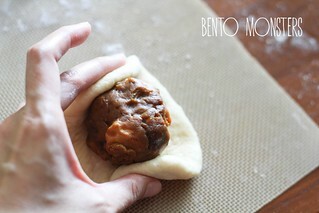 I filled them with Japanese chicken curry. My boys liked them because they like Japanese curry. 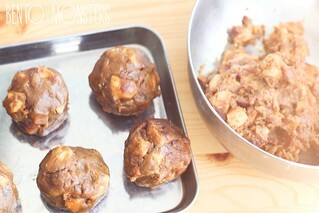 I want to try making our local chicken curry as fillings next time, I think it'll be good too. I used back the same recipe for the bread dough as my previous sleeping doggy sausage buns recipe. The recipe was quite straightforward and yet the bread was still soft the next day. Don't ask me why, I've no idea either, lol. 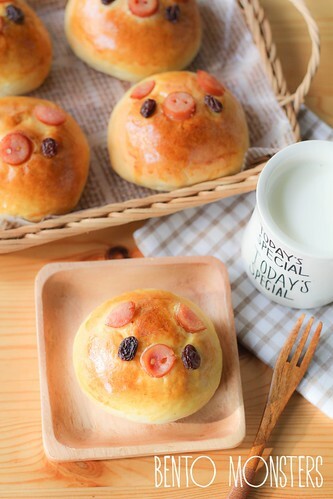 I made some full bodied piggy bread bun as well. I did not put egg wash on this. Did you notice the 3D cat latte art behind? I tried making 3D latte art during the holidays and it was quite fun. Need more practice though, I tried making a piggy but it turned out terrible, so I ended up doing a cat instead. Here's another 3D cat latte art I made, not sure if I'm doing it the correct way. In fact, I've never even drank any before, lol. 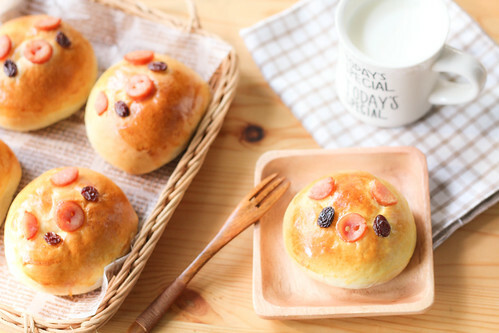 Recipe for the bread buns are below. In a frying pan, pan fry chicken till they are no longer pink. Heat up cooking oil in a small pot, sauté onion and carrot till aroma, add in water. Add cooked chicken slices into the pot, continue to cook over medium low heat for about 15mins. Add in curry roux and mix well. 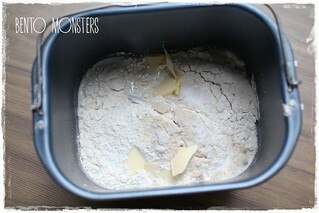 In another frying pan, melt butter over low heat, then add in plain flour, stir to combine well. Add into curry mixture. When the mixture started to turn thick, dish out and cool it completely. 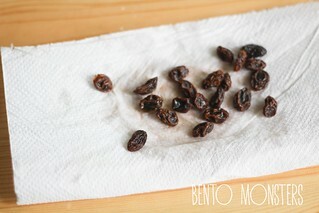 While the dough is rising, soak raisins in water so that they will soften and expand. 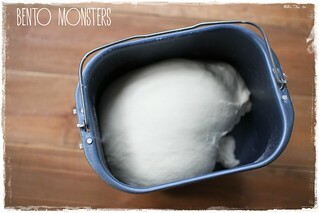 Dry them on a paper towel and set aside. 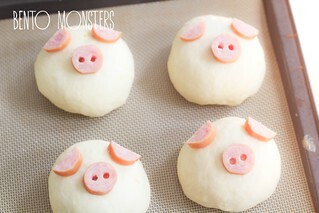 These will be for the piggy's eyes. 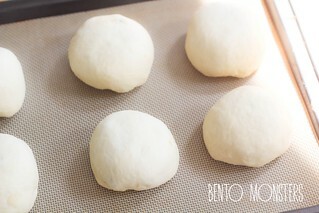 Divide the dough into 8 portions. Roll them out and form them into balls. 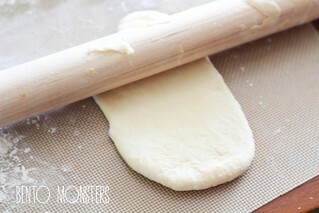 Cover with cling wrap and let the dough rest for 15 minutes. Wrap dough around curry fillings and seal. 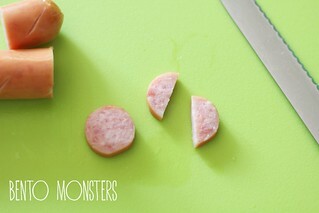 Slice out 2 pieces of sausage. Cut one into half for the ears. 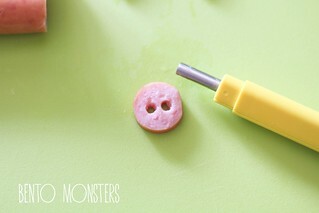 Use a straw or round cutter to poke two holes in the other one. Place the sausages cut-outs on the piggy. Cover with cling wrap and let the dough proof for 40 minutes. 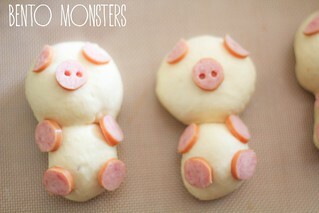 The steps to make the full body piggies are similar for the head. 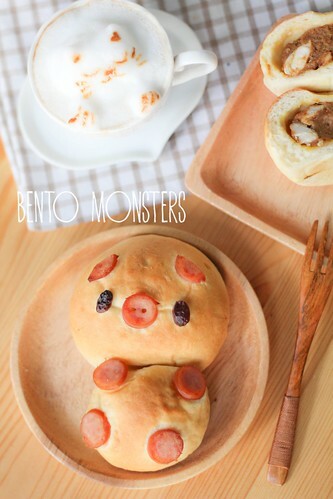 For the body portion, just add on another smaller bread dough and place 4 sliced on sausage on it. 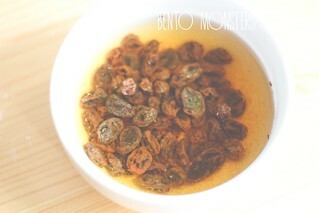 Brush with egg wash and bake at 180 degrees celcius for around 15 minutes or till they turn golden brown. Adorable! 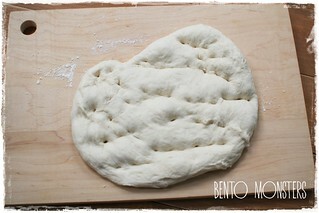 I love making bread and want to experiment more with making filled bread. 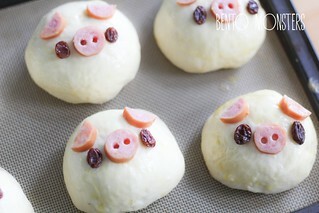 My families traditional bread for Christmas is pig scones. Love Jap curry too, definitely will have to try making this! 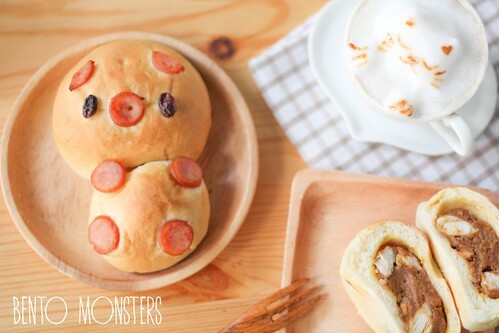 So cute and mouth watering! I also love the 3D latte, looks fantastic! 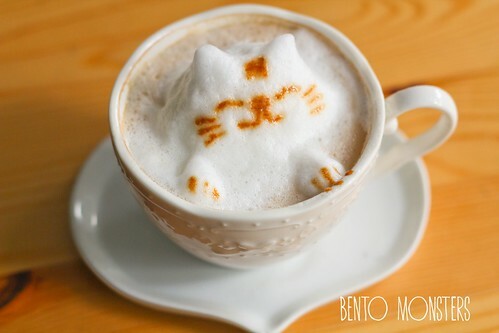 How you make the 3d cat latte art? I used a milk frother to froth the milk, and then use two spoons to scoop over and arrange. if you don't like raisins what else can you use for the eyes? 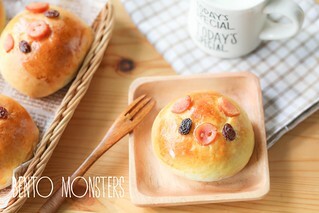 Thank u for the cute design..I just baked tis and it smells so gd and looked similar to yrs...I hv been blessed by u. Now I must try harder on yr totoro cream bun cos yr pastry can stand well..and I failed twice...can u share with me how thick u pipe the body?